For entertainment consumers who want to try to get along without a big pay-TV bill each month, the task may be a little easier. Sling TV has announced it is the first over-the-top (OTT) live and on-demand TV service available on LG's smart TV models. Coming soon, the company says it will be available on LG’s 2017 webOS 3.5 enabled-models. Ben Weinberger, chief product officer at Sling TV, says it's true that consumers increasingly watch TV shows from their mobile devices. But that hasn't changed the fact that a huge chunk of viewers still prefer to watch from the couch in the living room. “Offering Sling TV on LG’s award-winning, top-of-the-line smart TVs gives viewers more control over how they watch Sling TV so they can view their favorite programs without the need for additional devices or unnecessary input-switching,” Weinberger said. Matt Durgin, Director of Content Innovation at LG Electronics USA, says hooking up with Sling TV just makes the company's smart TVs that much more appealing. “The addition of Sling TV to our strong line-up of premium content apps on our webOS platform gives consumers an incredibly wide range of content options to enjoy on our critically-acclaimed LG Smart TVs led by LG OLED and LG Super UHD,” he said. Cutting the cord has always been a double edge sword for consumers. On one hand, you save $100 or more a month. On the other hand, you can lose access to live TV programming. Services like Sling TV have jumped into the void. Its cheapest base package is $20 a month. It provides 30 or more channels like you would get on basic cable, including ESPN, AMC, TNT, History, and Disney. 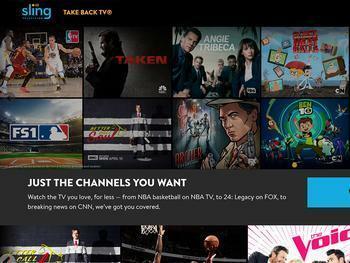 From now on, Sling TV subscribers can use their internet connection to log in on to most 2016 LG Smart TV webOS 3.0 models. If you have a new LG Smart TV but don't subscribe to Sling TV, you can check for Sling TV in the LG launcher bar or press “Home,” select “Go to LG Content Store” and search for “Sling.” From there, consumers can sign up for the service directly from the app. Sling TV's growth may be a metric with which to measure cord-cutting among consumers. According to Statista, the service had 911,000 subscribers in September 2016, a 30% surge since June 2016.